Any lawsuit by or against the seller “threatening to or affecting” the property. Claims for damages by the seller pursuant to Civil Code § 910 or 914. Claims for breach of warranty pursuant to Civil Code § 900. Claims for breach of an enhanced protection agreement pursuant to Civil Code § 903. Claim alleging defect or deficiency in the property or common areas improvements. If any of these claims have occurred, the Transfer Disclosure Statement requires further explanation. While the Transfer Disclosure Statement does not create a warranty between the buyer and the seller, the buyer can rely on the disclosures in determining whether to purchase the property and a lack of disclosure may create liability for the seller. The bill, authored by Senator DeSaulnier and supported by numerous groups and individuals in the building/construction industry, was introduced based on the presumption that a potential buyer should be aware of whether or not a claim for defects was made with respect to the property and whether the defect was subsequently repaired. It’s hard to argue with that logic. 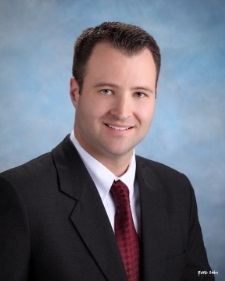 Nathan R. McGuire is a principal with Neumiller & Beardslee and Chair of the firm’s Community Association Law Group. He is an At-Large Delegate to CLAC in the Bay Area & Central Chapter and serves as one of CLAC’s Legislative Co-Chairs.